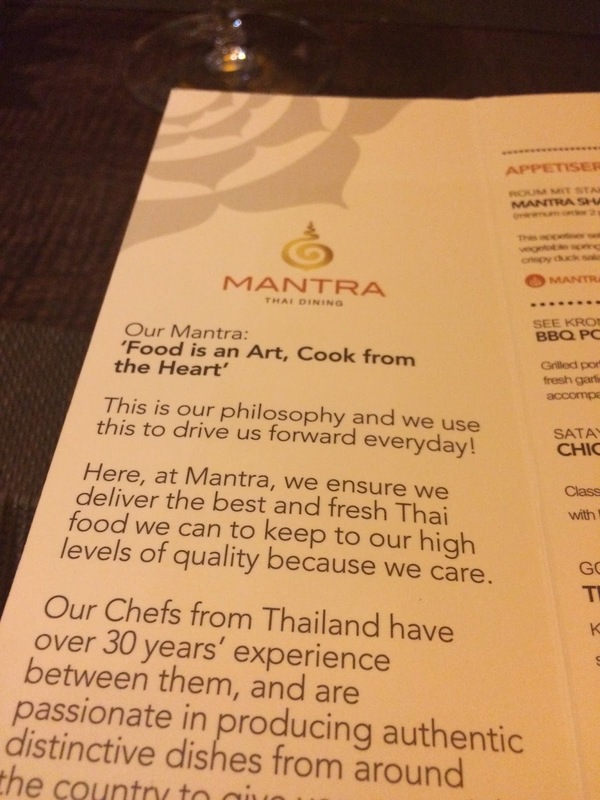 Food is an Art, Cook from the Heart - I wonder if they paid a PR firm to dream up that little mantra, proudly stuck on the front page of their menu? Mantra claims this philosophy is used “to drive us forward every day”. They use the words “authentic” and “passionate” quite a lot too. 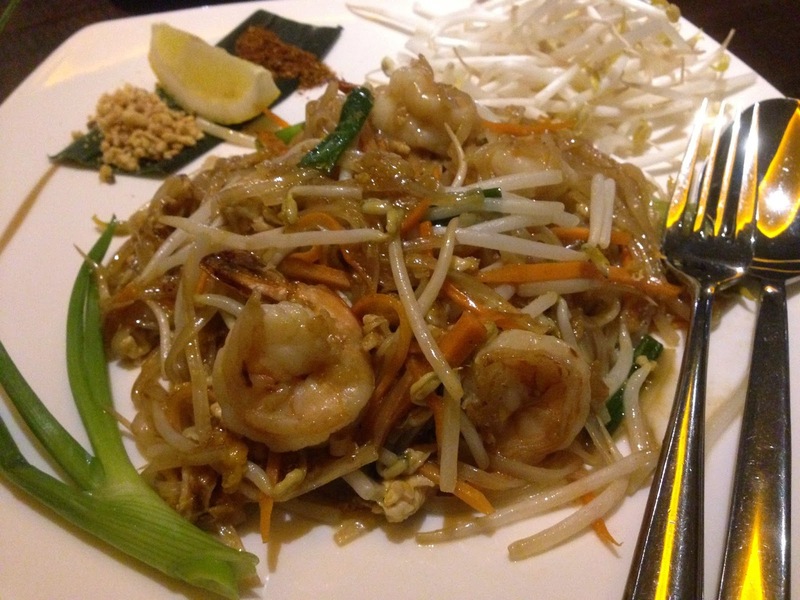 Newcastle has waited a very long time for an authentic, passionate Thai restaurant. Sadly it looks like it will have to wait a bit longer. 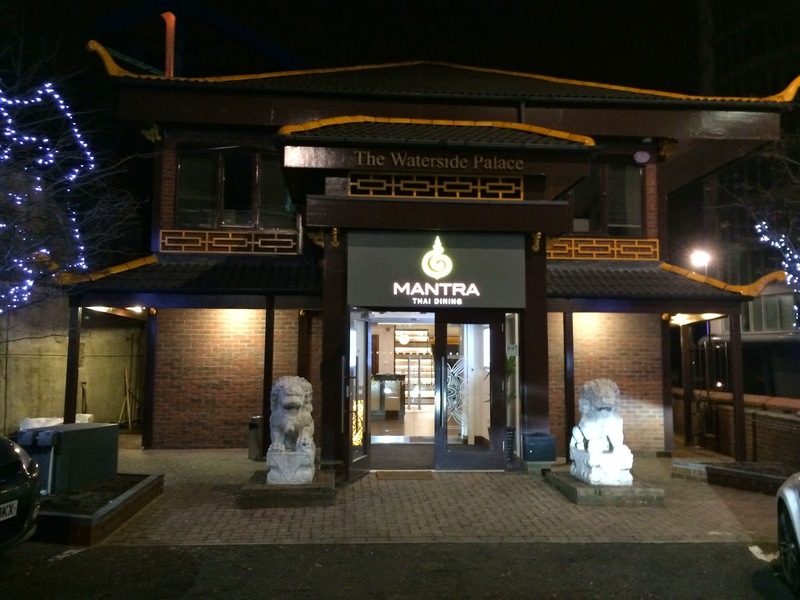 The owners of Mantra have certainly put a lot of effort into transforming the old Waterside Palace landmark on Forth Banks, home of many a drunken stag night and much indifferent Chinese cooking. The garish red and green has been replaced with more stylish grey and gold tiles. 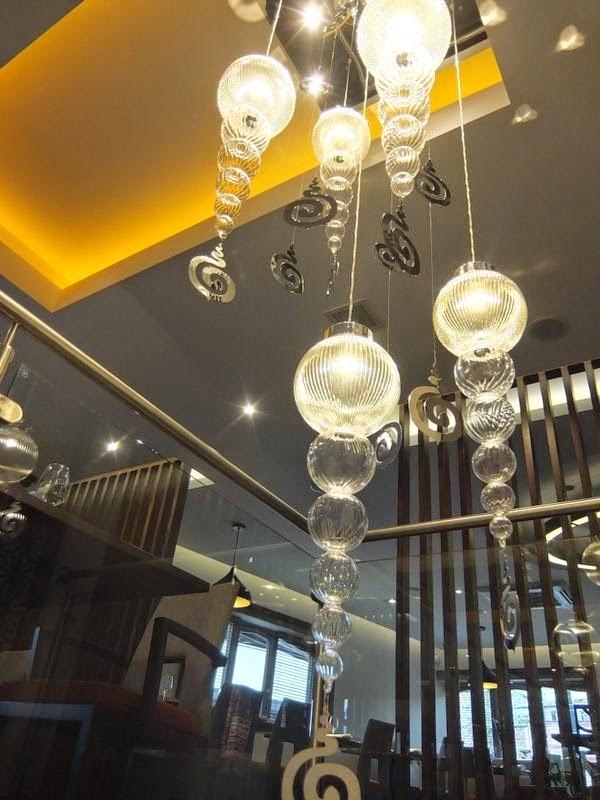 Inside, it looks very smart – perhaps a bit Marriott, but with some nice touches, including interesting bespoke glass chandeliers, like the artisan earrings you get in Bangkok markets. So far so arty. But what of the food? Thai street food is all the rage right now, with wonderful things being whipped up from palm sugar, fish sauce, pickled garlic and the like. 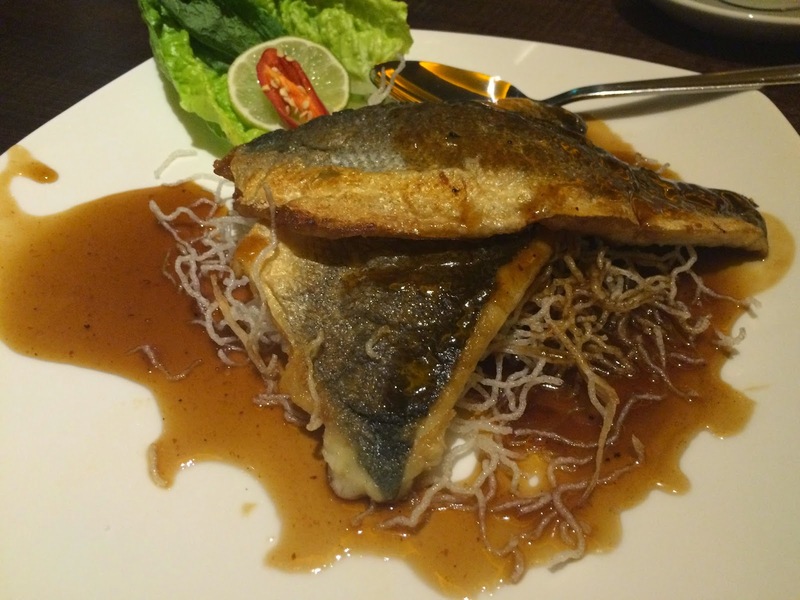 Just as our idea of Italian food has moved on from lasagna and chips, so Thai cuisine in Britain is evolving to embrace the whole country, beyond the fiery Golden Triangle, with its Myanmar and Laotian influences, to the more subtle Eastern provinces closer to Cambodia. 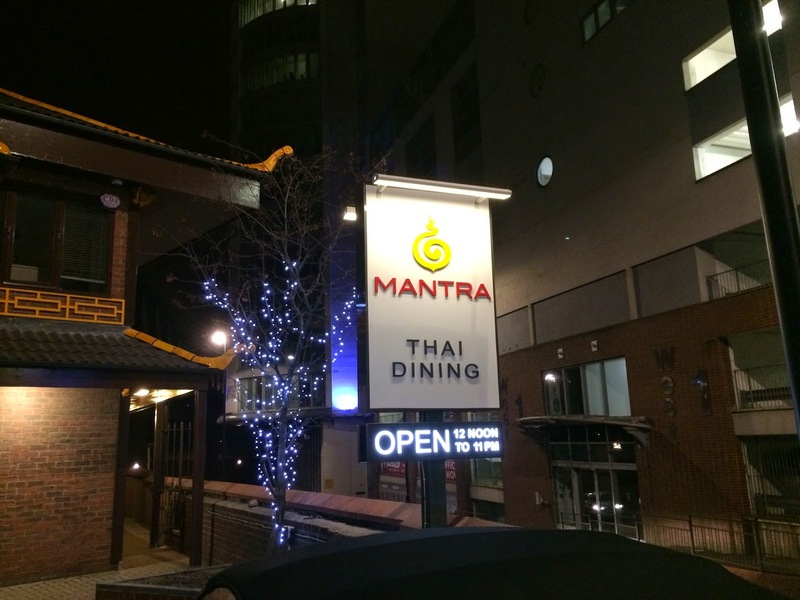 Unfortunately, Mantra’s menu reminded me of those terrible Chinese buffets in Stowell Street. 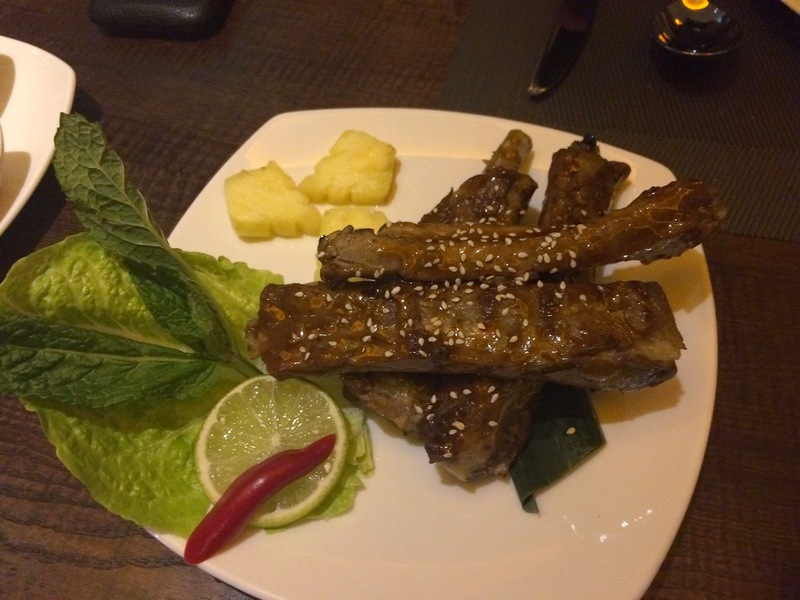 We ordered liberally, not from hunger, but because the list was so dull, composed entirely of old-fashioned Western-Asian standards: spare ribs, chicken satay, pad Thai, various curries, that sort of thing. We purchased in bulk, just in case we had missed anything. We hadn’t. We also asked if they had Thai wine. They hadn’t. Rather than the welcoming attention you usually get in Thai restaurants, where they throw warm towels, flowers and nice thoughts at you every few minutes, the service was surprisingly passive. When I asked for a finger bowl to de-clag my digits from our starters, the waitress looked confused. She brought us just one (with cold water), so we had to ask for a second – Mrs Diner doesn’t share finger bowls. All the staff seemed perfectly friendly, just inept. We’d ordered the ribs because they’d appeared on all the set menus. They were tough, and came with small chunks of pineapple which claimed to be grilled, but weren’t. 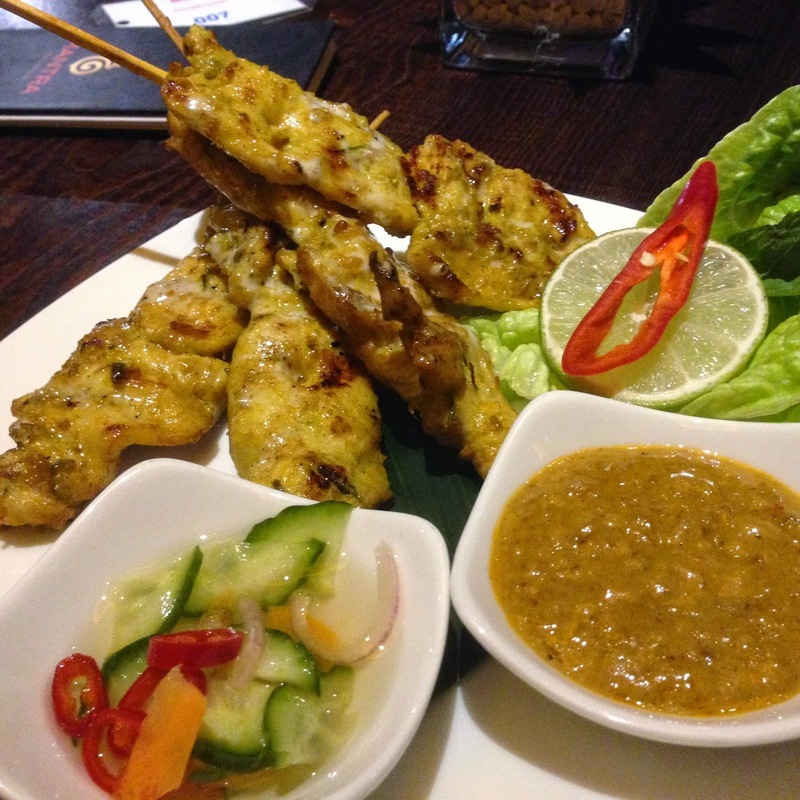 The equally ubiquitous chicken satay had a good peanut relish and were buttery, tender and pleasant. I apologise for the lazy use of “pleasant”. It suggests bland, mundane and unimaginative. I hope so, anyway. 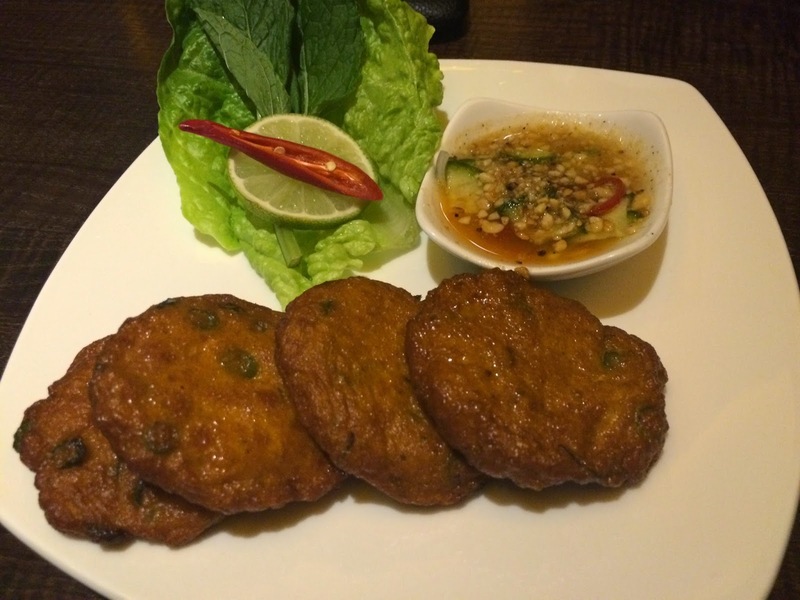 We also yawned our way through some Thai fish cakes, which at least had some heat and a fresh, acceptably sweet chilli sauce. After that the meal went steadily downhill. 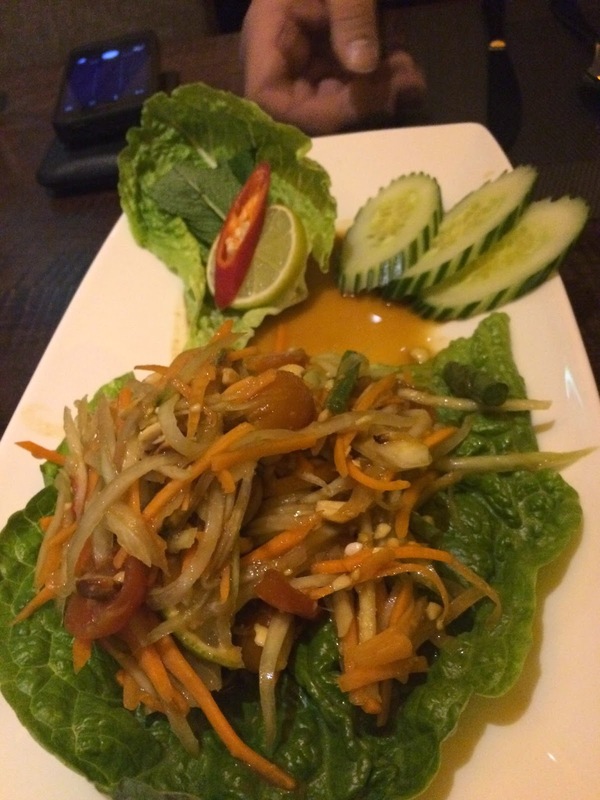 Thai papaya salad had been pre-dressed, possibly in the last Millennium. As a result, it was as wilted as our spirits. Pad Thai, the so-called national dish and staple of every Thai eatery in the land, was insipid, and arrived with lemon instead of lime. It cost £12.95. 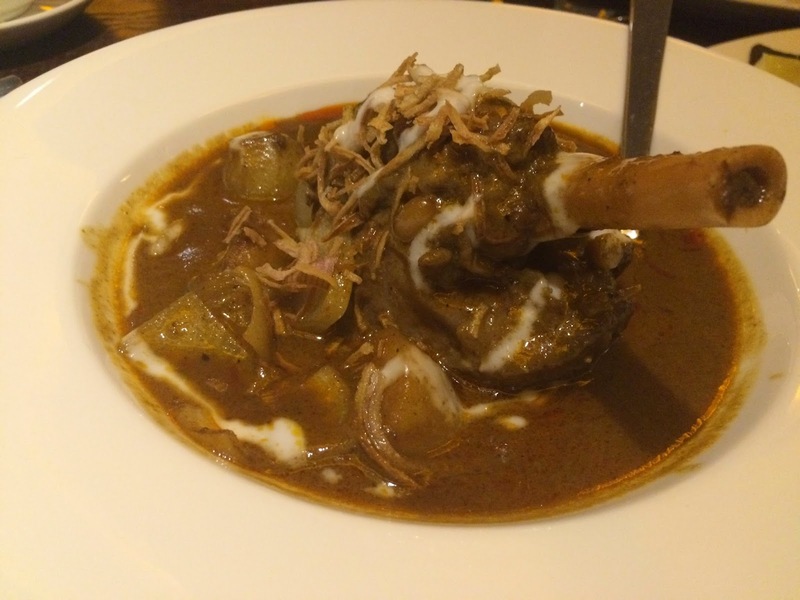 We then tried a lamb shank “slow cooked in Massaman curry”. The sauce was unbalanced, so you could sense a ferocious battle for dominance between the star anise and the cinnamon. I think the star anise won. I don’t believe the shank had actually been cooked in the curry at all, but merely introduced to it later in the process, for when I cut into the meat, I found it spice-free, tasting like any old lamb shank. This cost us £15.95. However that was a culinary masterpiece compared to the pan-fried sea bass. Woefully overfried to dryness, it was draped in a gloopy, acidic tamarind sauce that was so nasty, it rendered the whole dish inedible. It had the texture of bottled sauce, but I doubt you could sell this unpleasant concoction anywhere. 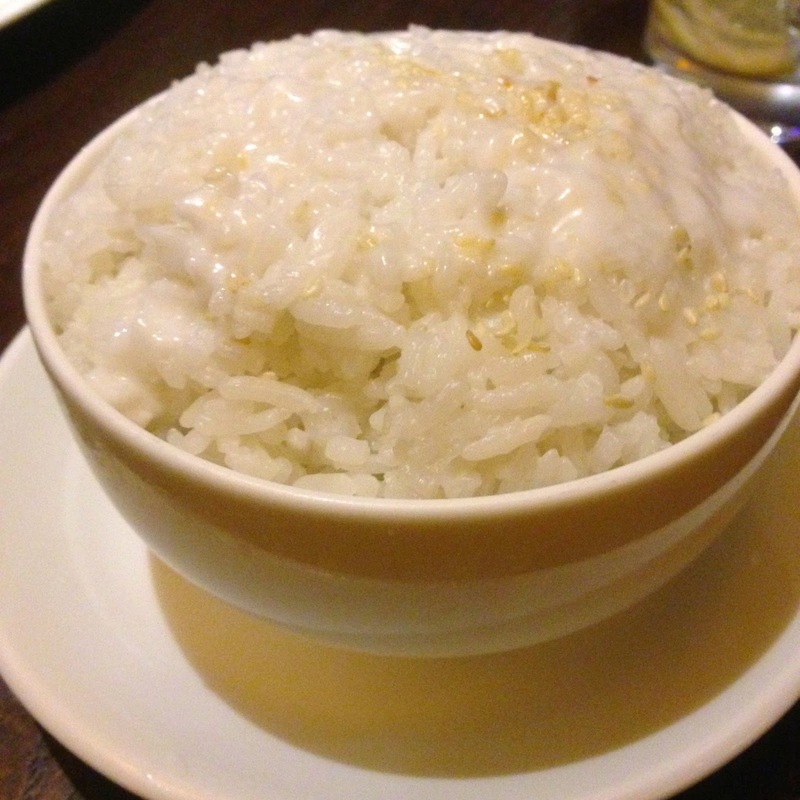 The main courses came with unfluffed jasmine and too sticky coconut rice, which together set us back a further £6. Even the kitchen’s presentation didn’t match up to the high prices. Our sea bass was supposed to have arrived with “roasted chillis and fresh coriander”. In fact, it was presented, like every other dish in our meal, with a couple of sad little gem lettuce leaves and half a raw red chilli, seeds intact. I may not be the greatest advocate of the typical Thai chefs' creatively carved carrot and radish flowers, but at least they show some effort, passion even. This place had none. This was food without art, or heart.